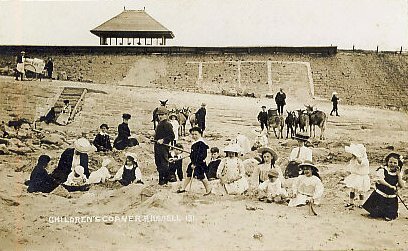 Lytham & Fairhaven once had beautiful golden sands and the North Channel passed the coast helping to scour the beaches keeping them clean. 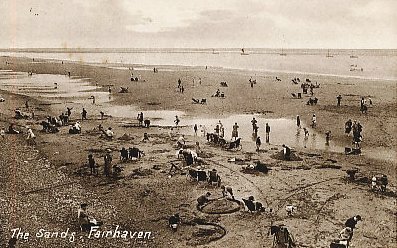 The Beach at Fairhaven, viewed from the sea wall of the lake c1918. 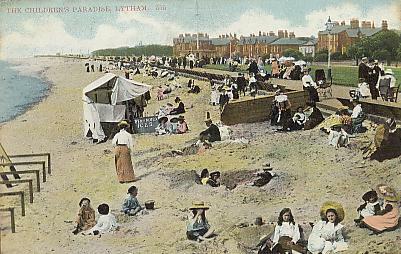 Grannies Bay Beach c1905 (opposite the White Church). 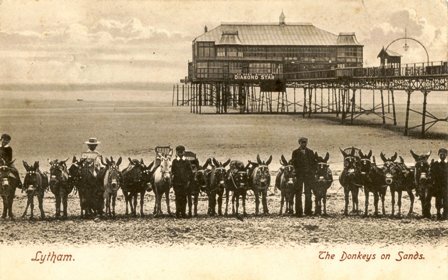 Mud & grass on Lytham Beach in the early 1950s. A deep channel (1890s-1910) was built from the Irish Sea to the Port of Preston. The training walls of the new channel were marked by posts which can still be seen from Lytham. 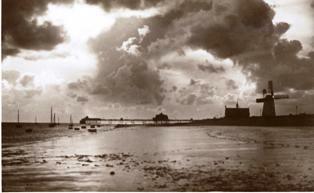 The result was that the old North Channel silted up, the beach level rose and mud spread onto the beaches. 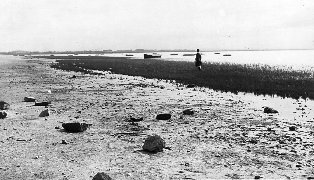 In the 1930s Spartina grass (Spartina townsendii) was planted on the banks of the River Ribble near Preston to reclaim land for farming. This grass gradually spread along the coast, and to the beaches of Lytham & Fairhaven, which are now covered by a carpet of grass. The grass is still spreading and now threatens the beach at St.Annes. 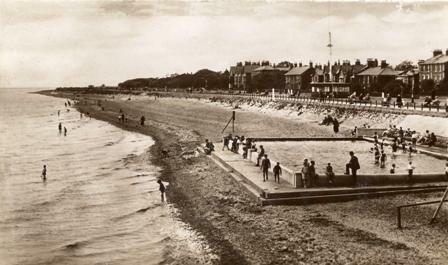 East Beach, Lytham circa 1918; compare this with the similar view below taken in 2009. 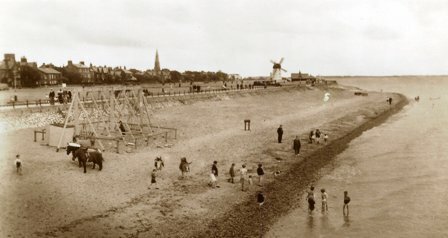 West Beach, Lytham in the 1930s; compare this with the similar view below taken in 2009. View from Fairhaven Lake towards St.Annes (2009). Fairhaven Beach, looking towards Lytham (2009). Grass (right) carpets the once golden sands. Looking from Outer Promenade, St.Annes, towards Fairhaven, showing how the grass is spreading along the beach (2009). St.Annes Beach - Too Much Sand! Report on the evolution of the Ribble Estuary, with particular reference to the north Sefton coast. Marine Geology - Long-term morphological change in the Ribble Estuary. All these books are difficult to find and expensive to buy; try Lancashire Library Service.